You're in the DOGHOUSE now!!! to make one our puppies a part of their family. 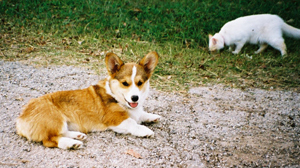 Our CORGI'S here at the ranch have litters planned for late 2003.
so we had"7" beautiful sable puppies born Februaryry 9,2003. 3 females and 4 males....all with very nice markings. They all went to real wonderful homes. 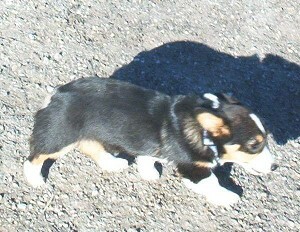 We kept 3 of her daughters to carry on her line..
Aubrey and Mazie we plan on showing. 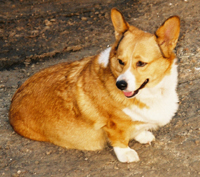 Thanks for taking a look at our CORGI'S. We hope that you enjoyed your visit. Come back soon.